Our travelled guests are milestone of our company and their valuable feedbacks always encourage us to work more efficiently and deliver memorable Indian Holidays to more travellers around the globe. If you want the best service use Leisure India Holidays. 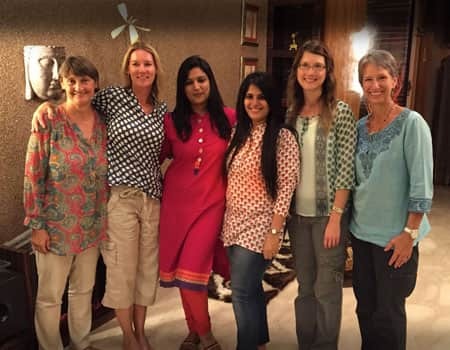 When we first explored travelling to India we looked at numerous Indian Tour Operators and we chose LIH because they replied immediately to us, they were dynamic, honest, prepared an itinerary that SUITED us and then only asked for a 30% deposit with the residue being paid during our actual holiday in India. We discussed the itinerary and altered it many times for various reasons and always the changes were carried out with a smile even from the other end of a telephone. We never had to lift a suitcase, worry about how to get to the hotel, where to eat, where to go, what to see. I am prepared to recommend Leisure India Holidays to the extent that if you are considering travelling to India. Forget Travel Agents, leave out the middle men, go direct to the best tour operator we have ever experienced. We had such a great trip. I just finished telling a group of friends how we had the perfect India trip and that I have the BEST contacts if any of them would like to visit. The cooking class was a definite highlight – we felt like we were friends coming over for dinner. It really added a personal touch to our tour – that you really cared about us. So a great big THANK YOU. Joaquin and I want to thank you for the wonderful tour you arranged for us in India, as well as for your great hospitality when we went to see you both. Our driver, Ratan Singh, was exceptional. He is an excellent companion as much as he is a kind, punctual, safe and proficient driver. His kind responses to our many inquiries and questions on Indian life have personalized the Indian experience for us. In his able hands, transfers between cities were conformable and a touring event on their own. 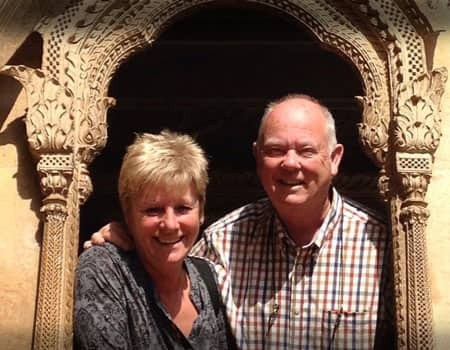 Daphna and I would like to thank you and your Leisure India Holidays excellent staff for making our recent India tour exceptionally interesting and pleasurable. First and foremost, we are grateful for your many useful suggestions in adapting the baseline tour plan to our specific priorities and constraints. The result was a stimulating, multi facet, dynamic tour that was still not too taxing. We enjoyed modern India in Delhi and Jaipur. We had a superb expose to India’s rich cultural heritage in Agra, Jaipur, Mandawa, Bikaner, Jaisalmer, Jodhpur, Ranakpur and Udaipur. You have shown us the best face of India. Crafting your Holiday like never before!